Salt Lake Comic Con is less than two weeks away, and it is the biggest geeky event here locally each year. I am excited to be going again this year and joining in the fun with the local geek community. I thought this would be a good time to take a look at the convention and what to expect. Maybe you’ve been before, or maybe this is your first time. Maybe you are going alone or in a group or with kids. However you will be attending the convention, I hope this post will be helpful. One of the biggest draws to any pop culture type convention is the celebrity guests attending. They usually participate in spotlight panels where they share stories about their careers and answer questions from fans. They typically also sign autographs and pose for photos with fans in paid photo ops. It is a great way to meet some of your favorite stars and is a huge part of the draw to these cons. Salt Lake Comic Con always finds a way to put together an incredible lineup for each convention they do. It’s incredible. Since 2013 they have put on six shows (three comic cons and three FanX conventions), and each one has featured incredible celebrity guests. Salt Lake Comic Con alumni include Stan Lee, William Shatner, Matt Smith, Chris Evans, Patrick Stewart, Chris Evans, Karen Gillan, Anthony Mackie, and many more. Too many to list them all here. The Chris Evans appearance at last year’s convention was huge, and set the bar and expectations sky-high. It seemed almost impossible for the organizers to top it. Then, just a little over a week ago, they did it. 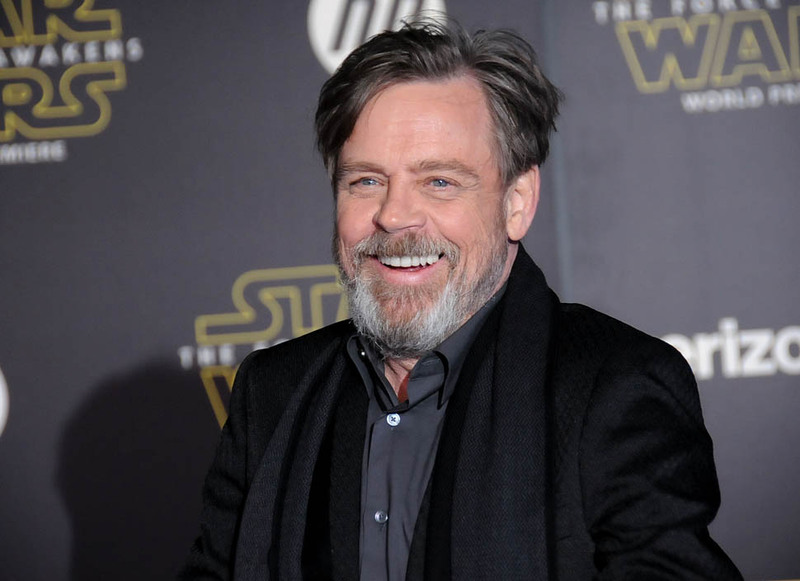 They announced that Mark Hamill would be making his only U.S. comic con appearance this year here on September 1. It’s a huge announcement and the community here went crazy for it. In fact, his “panel” is shaping up to be huge. So big, that they are moving it from the Salt Palace Convention Center to the NBA arena across the street that seats over 20,000 people. Why? Because there were going to be so many people who wanted to come and see him that the demand would be far greater than the 5000 seat capacity in the Grand Ballroom, and they wanted to make it available to everyone who wanted to be there. It is going to be amazing. Maybe you’re not a Star Wars fan. That’s fine. 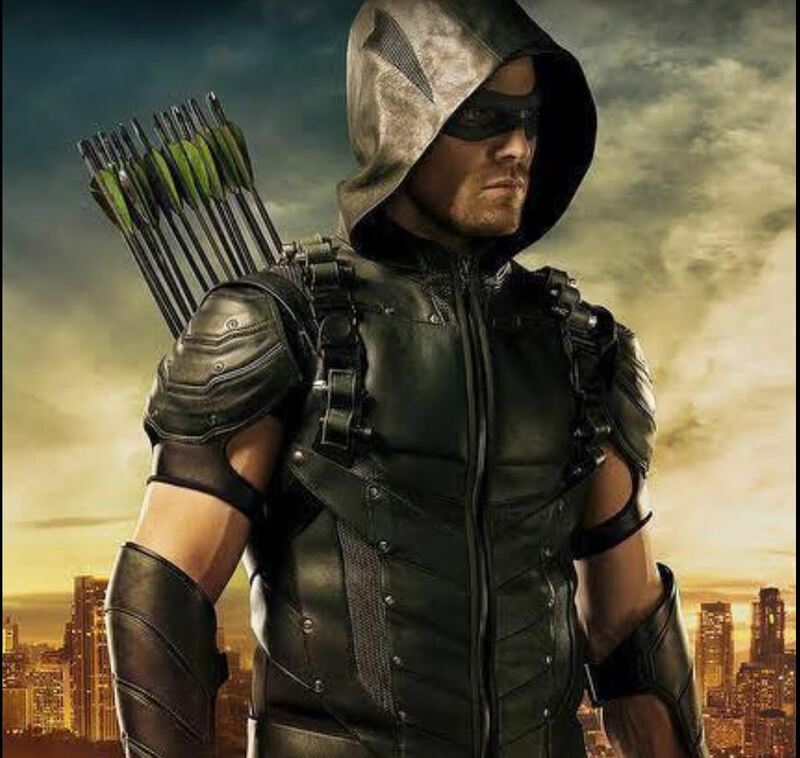 There are plenty of other celebrities coming, including William Shatner, Stephen Amell, and Lou Ferrigno who are all return guests for the con. There are also first time guests, like John Cena from the WWE and Millie Bobby Brown who played Eleven in Stranger Things (yes, I am excited about her panel because I am obsessed with that show right now). Plenty of variety for fans of any genre. 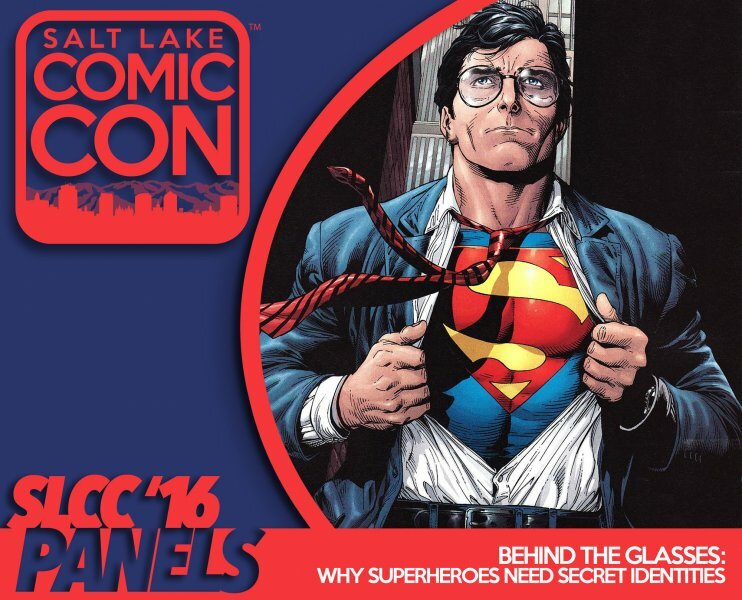 You can see a full list of the celebrity guests scheduled to appear by checking out the Salt Lake Comic Con website. I love panels. I love that for an hour I can go into a room and listen to a group of geeks talk about a particular subject that they love as much as I do. I also love to go to the writing panels where authors talk about the ins and outs of storytelling and the business of getting published. It gets me excited to work harder on my writing and to get better. Salt Lake Comic Con never disappoints with their panel programming. This year is no different. They have a huge variety of panels on almost any subject. And, if you’re interested, you can check out the panels I have the privilege of participating in. This time around, I am on three different panels. On Thursday I am on the Star Trek at 50: Who’s your Captain at 5 pm in room 150G, on Friday I am moderating the Behind the Glasses: Why Superheroes Need Secret Identities at 12 pm in room 150G and on Saturday I am on the New Star Trek Series-What We Know and What We Don’t at 1 pm in room 255B. 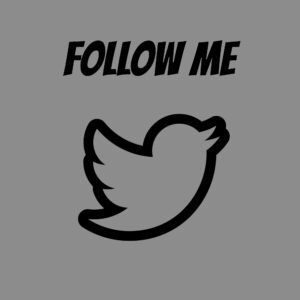 Feel free to stop by and say hi. You can see all the panels scheduled for this year’s convention by going here. You can see a specific guests schedule by clicking on Browse Guests and then finding the guest in the list and clicking on their schedule. 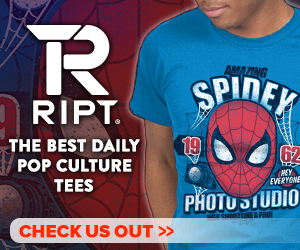 This is a great place to get your collectible shopping fix. Or better yet, find some really great artwork. This is just a huge collection of really great vendors who are selling some really great stuff. You can spend hours walking the floor and not see everything there is to see. I love it. My favorite part is Artis Alley. Most of the pictures on my geek wall have come from shopping in Artist’s Alley. The prices are typically pretty good for the prints, and usually the artist is there to sign them. Definitely worth checking out. The vendor floor is also where you will find points of interest like the life-size TARDIS or the Impala from Supernatural. Most of these are set up as photo ops, and most are free. 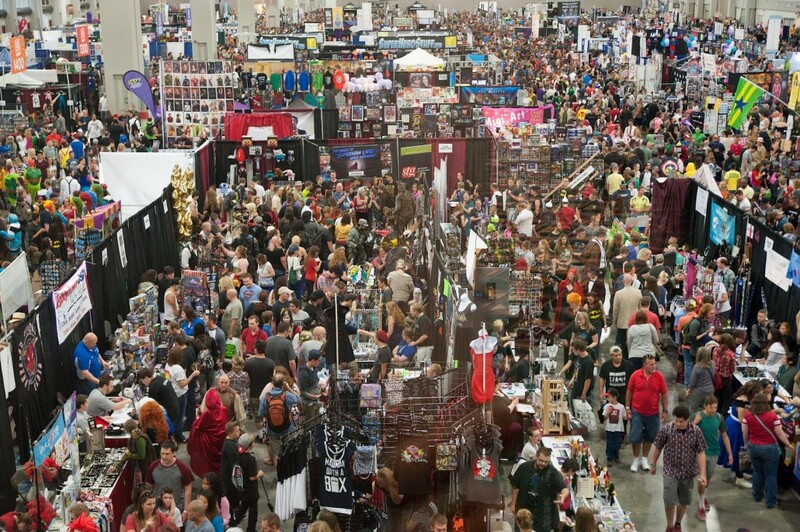 The vendor floor is also where the booths for the celebrities are located so you can get their autographs, for a fee (most prices are listed on the Salt Lake Comic Con web site). When I volunteered for the first FanX, I was assigned the vendor floor and spent a lot of time there, and didn’t get sick of it. This is the place to people watch, just awesome. A big part of Salt Lake Comic Con is the cosplay. This is also the one area that I know the least about. Dressing up is outside of my comfort zone. Like, way outside of my comfort zone. That doesn’t mean I don’t appreciate it, though. I love to see all the great costumes and seeing the results of all the hard work that people have done on their costumes. It always blows me a way. I love to get pictures of some of my favorite cosplays, and find that cosplayers are always very willing to stop for a pic. The important thing here is that I ask them first if we can take a photo and try to be respectful of their time and of course their person. It’s important to point out, and I believe this, cosplay is not consent. They may have dressed up, but they have just as much right to enjoy the con as you do, so be respectful. The cosplay competition is always a highlight of the con, and should be checked out if you are a cosplayer or a fan of cosplay. Our Liz Cole is a big cosplayer, so I am sure she could offer tips for cosplaying at the con and what not, since she is an expert. That sums up the convention. 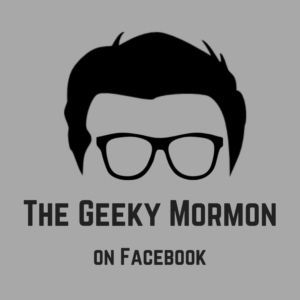 If I have missed anything that you wanted me to cover, or if you have any questions, please let me know in the comments or you can email me directly at thegeekymormon@yahoo.com. Also, let us know in the comments what your favorite part of Comic Con is. I hope to see you at the con! This entry was posted in Conventions, The Geek Life and tagged Salt Lake Comic Con on August 19, 2016 by Jake Dietz. One thing I’ve noticed going to the con is that at least personally I get more enjoyment from the”smaller” celebrities than the big ones. The big celebrities get so many people that I tend to just feel lost in the crowd, where with the smaller celebrities I get to be much closer and it feels more personal.